Talanoa Mai: The Healthy Warrior Life! Talanoa Mai, Samoan words for 'Speak to me...share your thoughts with me'. Watch this space for updates from Room 3, a group of creative year 7 and 8 students of Pt England School. Wow what a great way to spend our Monday afternoon! The team sent to teach us all about healthy living were awesome! We had a team of 4 Vodafone Warriors lead us through a very informative session. The headings of the 3 areas they covered were: Nutrition, Sleep and Hydration. Three very important parts of our daily life. If we do a good job looking after what and when we eat, drink and sleep we will be in top shape for our learning and more! The style of teaching used quick fun quizzes after every short talk on these areas. Chanting our team names was the way we identified which group would answer first. 'Warriors' and 'Nate is the best' were the two chants. 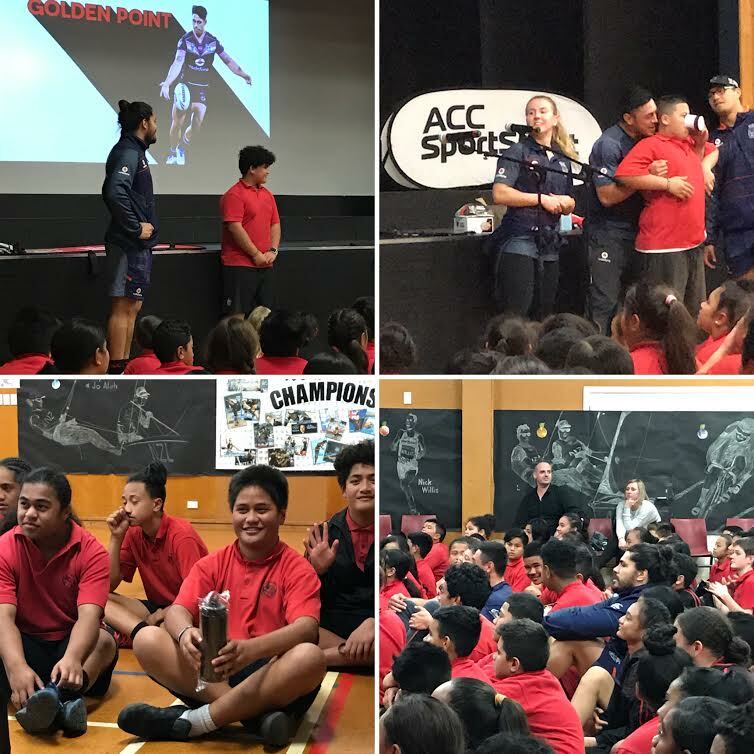 No doubt Room 3 will swing into gear to tell you more detail about our great afternoon with the Vodafone Warriors here at Pt England School. Special thanks to Tohu Harris, Nathaniel Roache and...can you name the rest of the team. Leave their names in the comments section to win a prize!